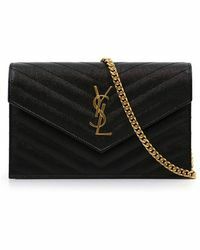 First produced in the Sixties, Saint Laurent's iconic 'Monogramme' motif has become the Parisian fashion house's hallmark. 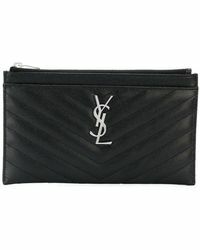 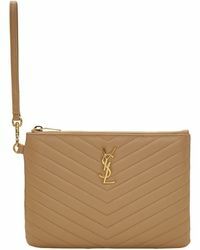 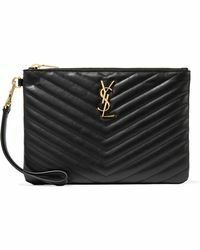 It is this instantly recognisable gold-toned 'YSL' lettering, which brings this otherwise understated clutch to life. 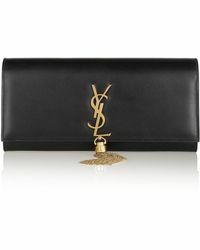 An iconic addition to your accessories repertoire, the Monogramme clutch is meticulously crafted from leather and boasts an inside slip pocket for your essentials. 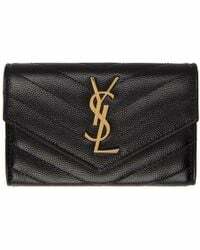 Shop the Saint Laurent Monogramme clutch collection and elevate your evening looks in an instant. 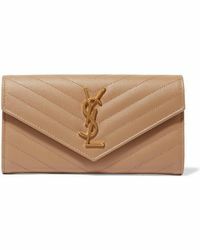 Expect to see versions reworked in metallic, bold prints, sumptuous suede and more. 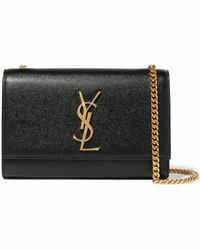 Showing 319 results for "Saint Laurent Monogramme"